"Doing what's right – Doing our best – Doing for others"
Grassland FFA enjoyed another year of achievement at the Pa. FFA Summer Convention and Career Development Events. 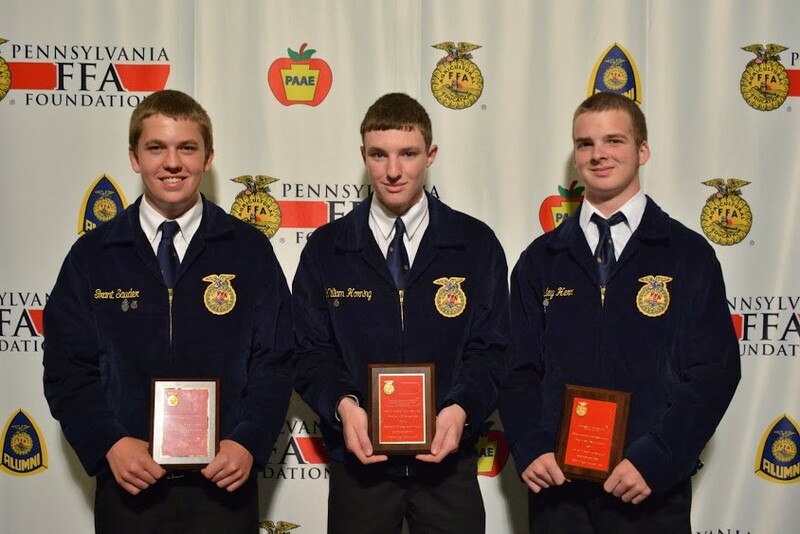 Grassland FFA came away with three individual state champions: Ethan Yoder, Aquatic Resources; Grant Sauder, Poultry Evaluation and Derick Weaver, Wildlife. William Horning, Poultry and Jenna Diehl, Wildlife finished 2nd in the state. Holly Schnader was the State Proficiency Award winner in Equine Placement. 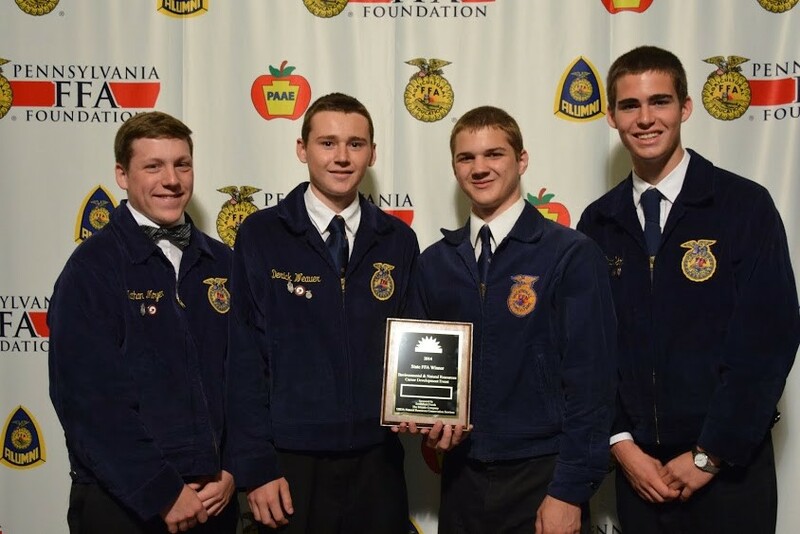 In team competition the team of Ethan Yoder, Colin Wenger, Derick Weaver and Nathan Moyer won the Environmental Natural Resources Competition. The Poultry Team of William Horning, Austin Mueller, Laura Snader and Andrea Weaver were also earned the state championship. Due to their placing at the state level Grant Sauder and Jenna Diehl will be competing with their respective teams at National which will be held in Louisville, KY in October. 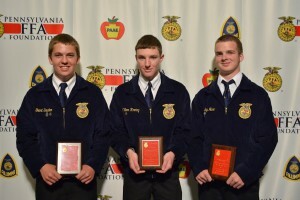 The Forestry team of Ben Martin, Nathan Phillips, Bethany Sauder, Jessica Zimmerman, placed 3rd in the state. Bob Lauffer, FFA Advisor, who retired July 1 stated, “I was really proud of these members for working so hard to achieve their goals. It was fun for me to see them achieve at such a high level in my last convention as their advisor.” Lauffer and the teams recently celebrated the achievement by going to a local steakhouse for dinner, a Grassland FFA tradition. The Eastern States Exposition, held in Springfield MA, is a large agricultural fair for states in the Northeastern U.S. This event hosts many competitions including a variety of Career Development Events for FFA members. This year the Poultry Evaluation team competed and placed 3rd. The Milk Quality and Products team went along to practice for their upcoming National Competition. 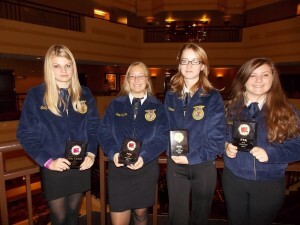 Besides competing themselves the students were also able to watch other FFA and 4-H competitions. They were able to enjoy a variety of things at the Big E; such as food to choose from, rides to go on, and other things to watch like 4H horse jumping. There were also a lot of other displays to look at and activities to experience. Grassland FFA started the school year with a chicken BBQ held on September 6, 2013 at Power Pro Equipment. Power Pro asked FFA to partner with them and hold a Chicken BBQ on the Saturday they hosted an open house at their retail facility. 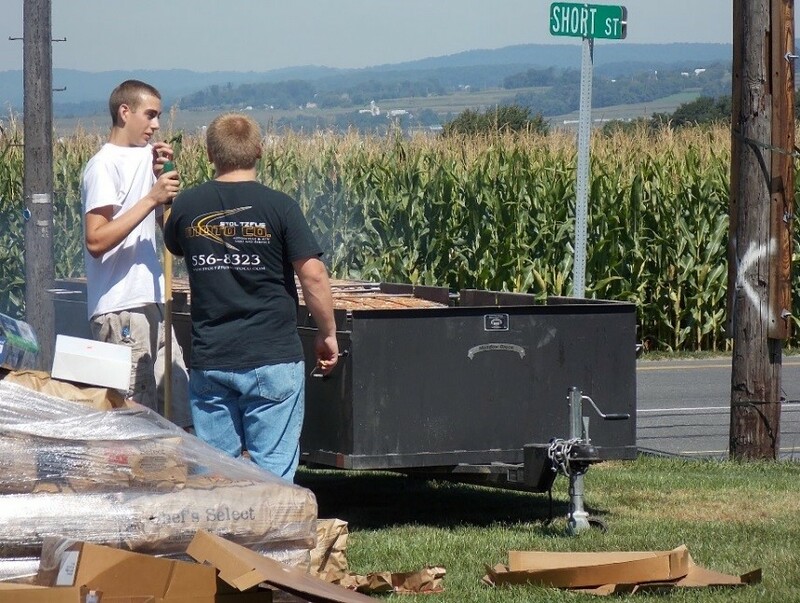 Funds from the chicken BBQ were used to sponsor the Career Development Event (CDE) Teams traveling to the Big E and National Convention as well as to help fund other FFA activities. Students sold tickets for the meals, planned the menu, cooked the chicken and served all of the food included in the meals. One of the highlights of the New Holland Fair for local livestock exhibitors is the livestock auction that occurs each year on Friday night of the fair. 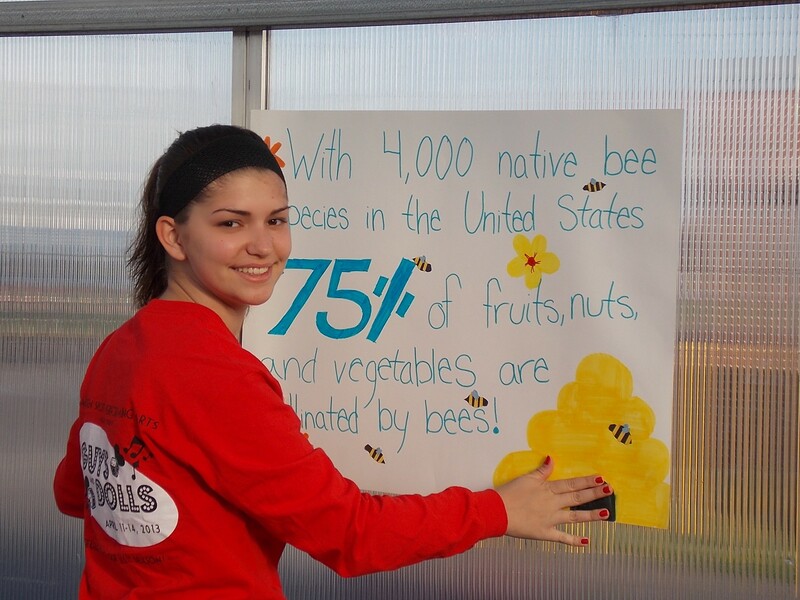 This year local businesses teamed up to set a new record as the Grassland FFA’s R.D. 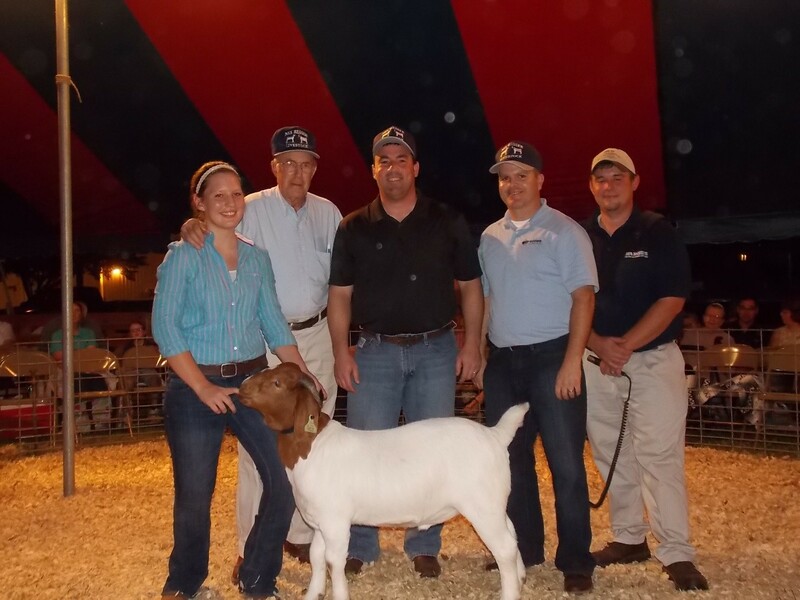 Herr Scholarship Goat sold for $10.85 per pound. Travis Eby of M.H. Eby, Inc. and Kurt Good of Good’s Livestock combined for the record bid. Bethany Sauder, a Garden Spot junior from East Earl exhibited the scholarship goat. The goat was donated to Bethany by Dr. and Mrs. Robert D. Herr. Bethany took on the responsibility of caring for the goat and then showing it at the fair. Bethany did an excellent job of presenting the animal, placing 1st in her showmanship class. As part of the agreement she will donate one half of the proceeds from the auction to the scholarship fund. 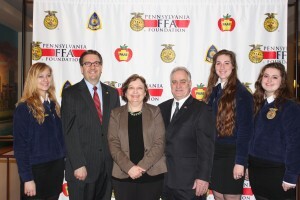 Pictured are Bethany Sauder, Dr. Robert D. Herr, founding advisor of the Grassland FFA Chapter, Travis Eby of M.H. Eby, Kurt Good of Good’s Livestock and Brian Oberholtzer, Grassland FFA Alumnus representing Horning Farm Agency who served as guest auctioneer. The $10.85 per pound bid broke the record set last year. The scholarship animal program has been in operation since 1998. It started out as a scholarship lamb donated annually by the Herr’s and then shifted to a goat as their livestock operation changed. . The R.D. 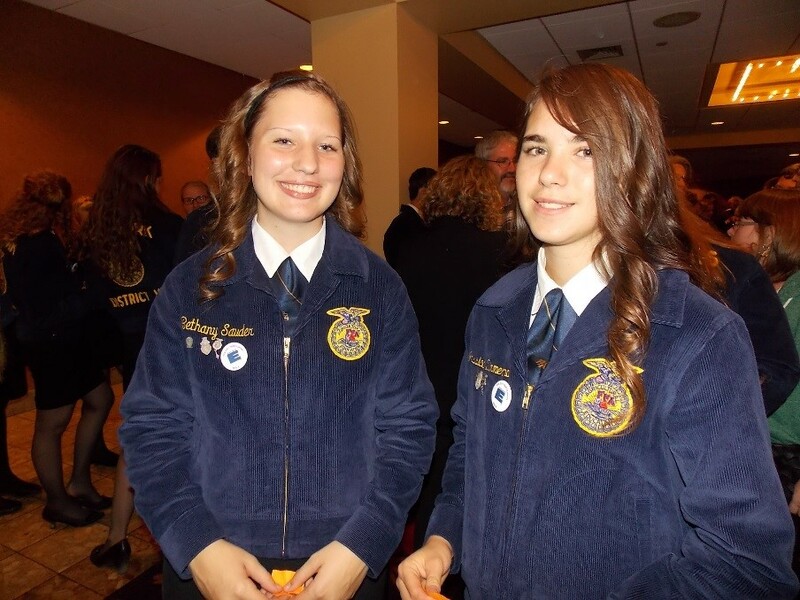 Herr Scholarship is awarded to a senior member of the Grassland FFA who has qualified by showing livestock and/or who is studying animal science or agricultural education at a university. More than $12,000 has been raised for the scholarship program and seventeen members of the chapter have been awarded scholarships. The 2013 recipient was Jalisa Zimmerman of Narvon who is study pre-veterinary medicine at the University of Illinois. Each of the three FFA Leadership 9 lasses recently selected the officer team to lead their respective class for the semester. 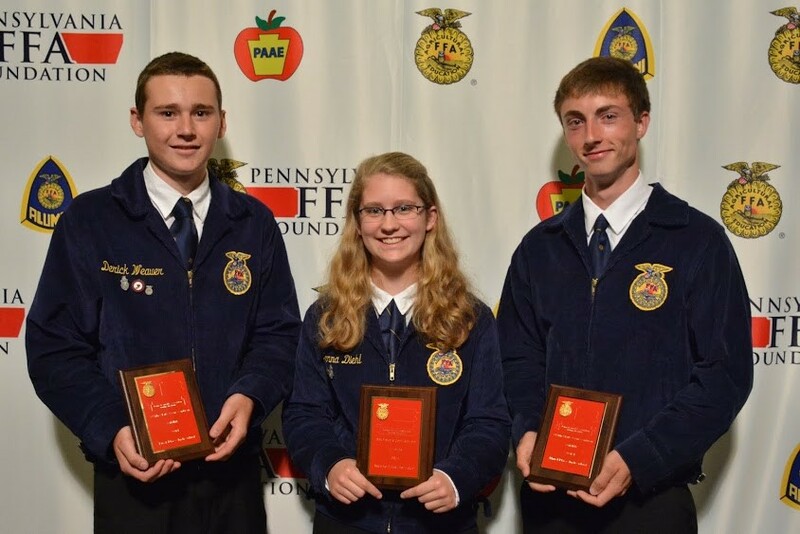 The officer teams have done a great job of leading their classes and have enjoyed a New Member Kickoff, a Career Development Workshop at Penn State and Livestock Judging and Safe Tractor Operations competitions at the Manheim Fair. 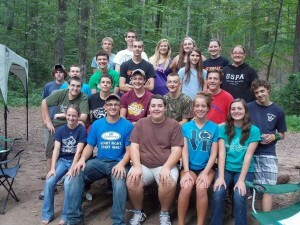 A day long leadership retreat is being planned for early November at Refreshing Mountain Camp. This year the FFA Summer Officer Retreat was held at French Creek State Park, from August 16th to August 18th. 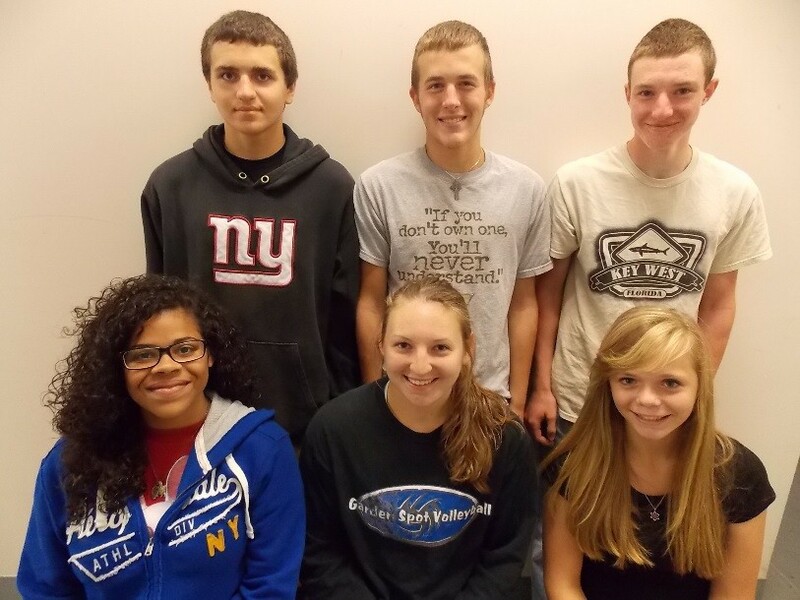 During the sessions the 2013 Grassland FFA officers planed events for the rest of the 2013 school year and learned leadership skills. greenhouse ready for the open house. 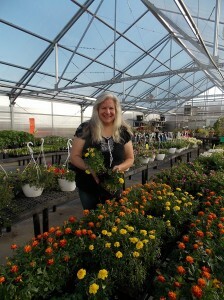 The sale went well and many of the plants were sold. In addition to the plant sale, several students from the clay studio class had art pieces for sale. 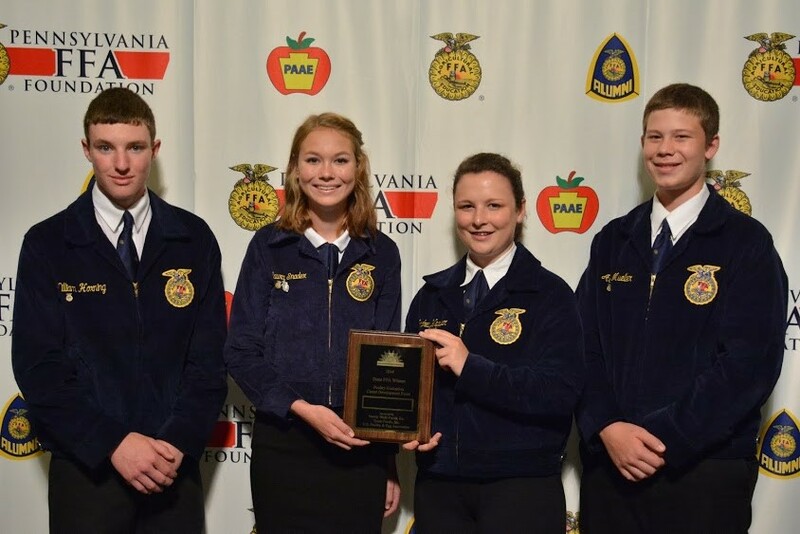 Agricultural Cooperation Establishes Success (ACES) was a state wide FFA leadership conference that was held in Harrisburg. 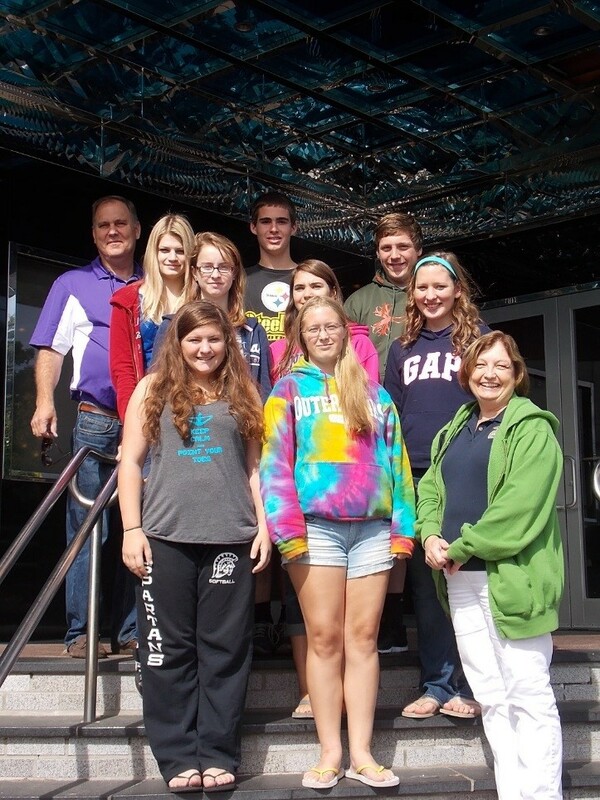 Members that attended Aces went to workshops on various subjects, such as leadership and cooperation. The workshops are lead by FFA state officers. FFA members also get to meet other FFA members and make new friends. It was a great experience! The State Legislative Leadership Conference (SLLC) is a three-day event in which FFA members from across the state of Pennsylvania have the opportunity to attend. This year Grassland FFA had four members attend. Members who attended got to see how a bill becomes a law. They got to work through mock bills and work together finalize them to best fit the ideas of the FFA. 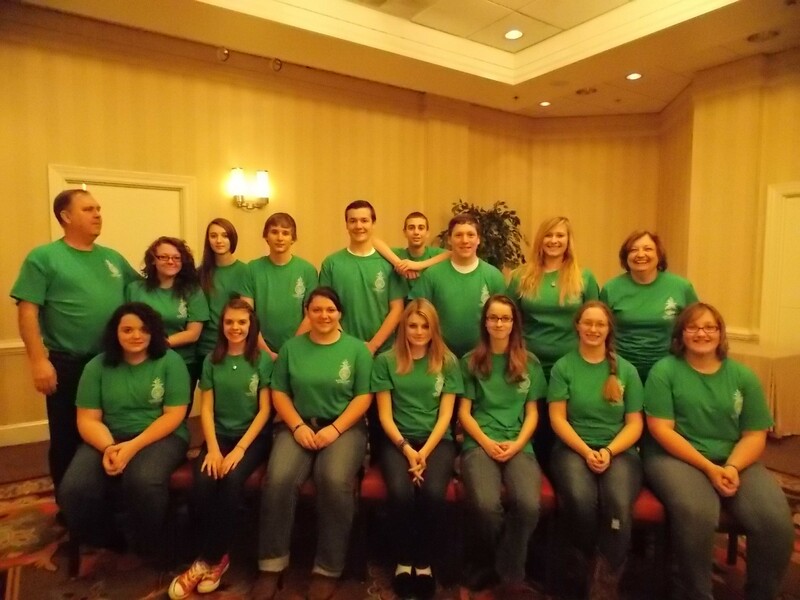 Grassland FFA members also took the opportunity to volunteer at a local nursing home helping to plant gardens. 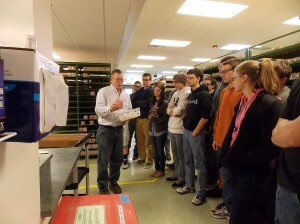 As a class field trip, tenth grade FFA students went to Pioneer Hi- Bred Research Facility. At the beginning or the tour there was a presentation by Polly Longaberger and Dave Whitaker who were the tour guides. 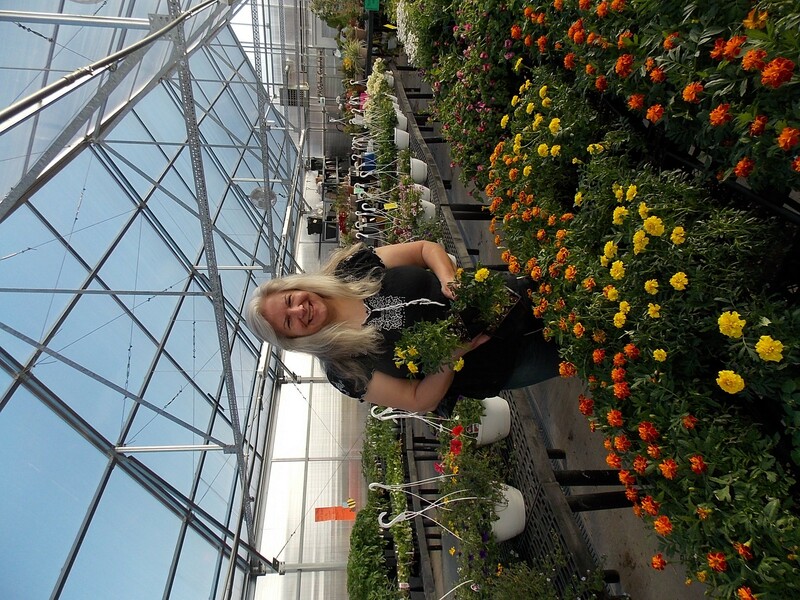 They are also the head researchers at Pioneer Hi- Bred Research Facility in New Holland. The presentation was about hybrid plants especially corn and how it is grown and produced it for their seed crop and research purposes. Then the tour continued out to the barn where students were introduced to the specialized equipment that is used to harvest the crops for the research facility. 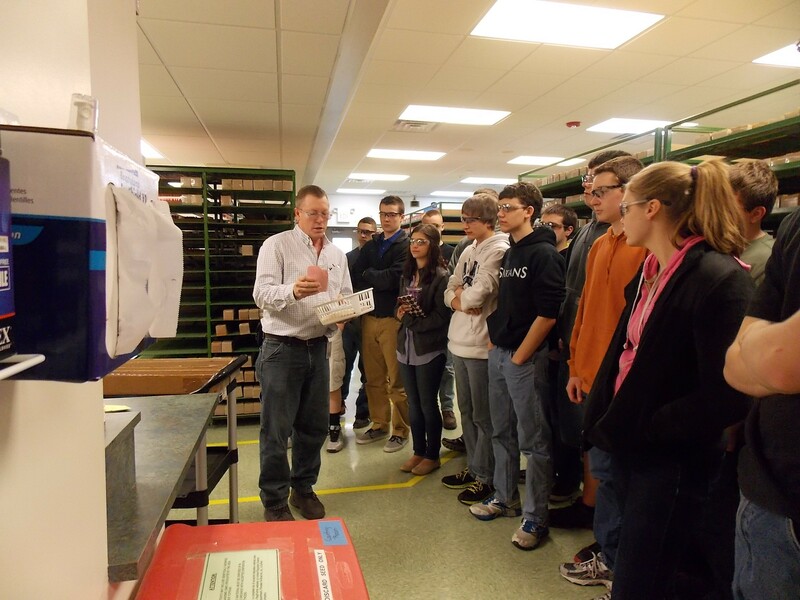 The tour ended with the students having an opportunity to ask any questions about hybrid plants and how they are produced. 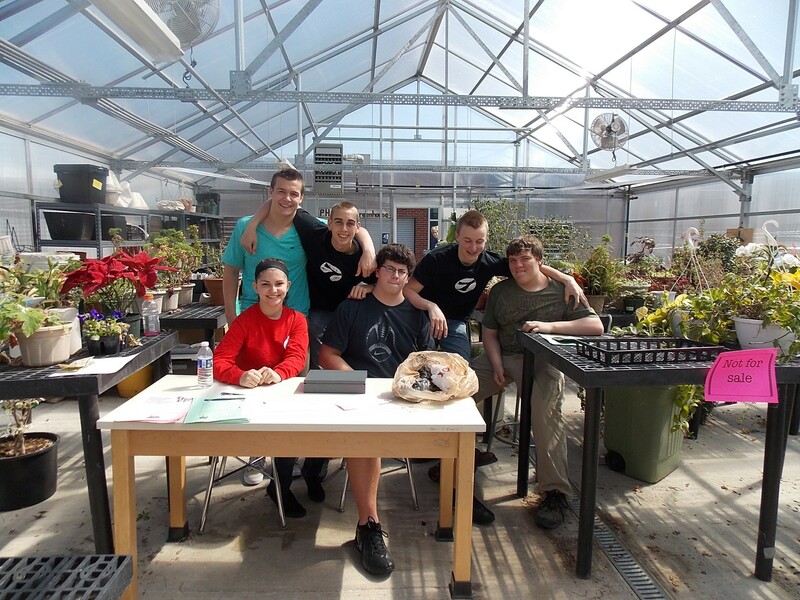 The Garden Spot High School blog shares the many wonderful events and achievements from the GSHS students, teachers and administration. Please come back and visit us often.